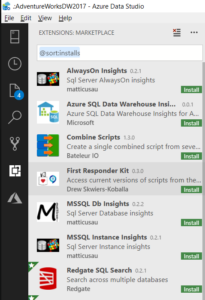 In September 2018 Microsoft released Azure Data Studio, a cross-platform database development tool originally branded as SQL Operations Studio. Microsoft’s intention is to provide a seamless database management experience, regardless of whether users are connecting to on-premise or Azure-based data platforms. 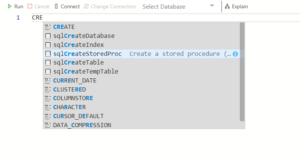 For many standards functions, Azure Data Studio offers a much richer experience that Microsoft’s flagship database management tool, SQL Server Management Studio (SSMS). It should be noted however, that Microsoft has stated that SSMS will still be the core tool for data platform management due to its broad range of administrative functions. 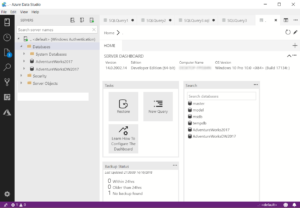 This new tool includes many of the standard SSMS database environment features for rapidly developing and tuning database queries. The intellisense is more responsive than SSMS, and more extensive with support for keywords and useful TSQL snippets. 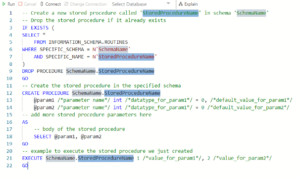 For example, with a few key presses you can locate and open the snippet for a CREATE PROCEDURE statement. With a single click from the left-hand menu you can search a marketplace where third-party providers such as Redgate provide development environment extensions. This functionality can take database monitoring TSQL you have written and turn it in to visualisations that can be placed on server dashboards within the tool. A technology called Insight Widgets is used to achieve this. Another useful function is the in-built integrated terminal window, which you can use to execute PowerShell or Bash commands. I found previewing data in tables to be clunky, as it is in SSMS. It requires a right-click and a menu selection of ‘SELECT TOP 1000’. Competing products offer a simple double-click to generate a preview of data in a table. Azure Data Studio is very responsive and has a rich set of new features to streamline database management across both on-premise and Azure-based data platforms. As Microsoft state however, SSMS will still remain the flagship database management tool due to its broad range of administrative functionality. Thus, SSMS will live on…for now. Want to know more about SSMS versus Azure Data Studio? Get in touch, we’re happy to talk! Mike is a data specialist with over 14 years of experience. He has deep Microsoft BI skills as well as extensive consulting experience across the domains of strategy, architecture and governance. 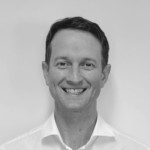 He is passionate about helping organisations turn data into insights, regardless of their size and maturity.